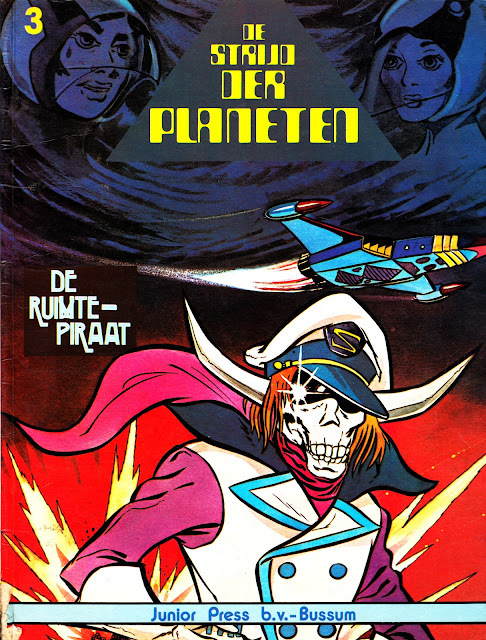 Whilst we're on the subject of BATTLE OF THE PLANETS (or, in this case, DE STRIJD DER PLANETEN) comic strip versions, here's a Dutch one that isn't derived from US or UK reprints. It's amazing what you can find in the basement of London book stores, I think I paid 50p for this oddity. It's Dutch (I *think! *) and features a BOTP strip I'd not seen anywhere else. 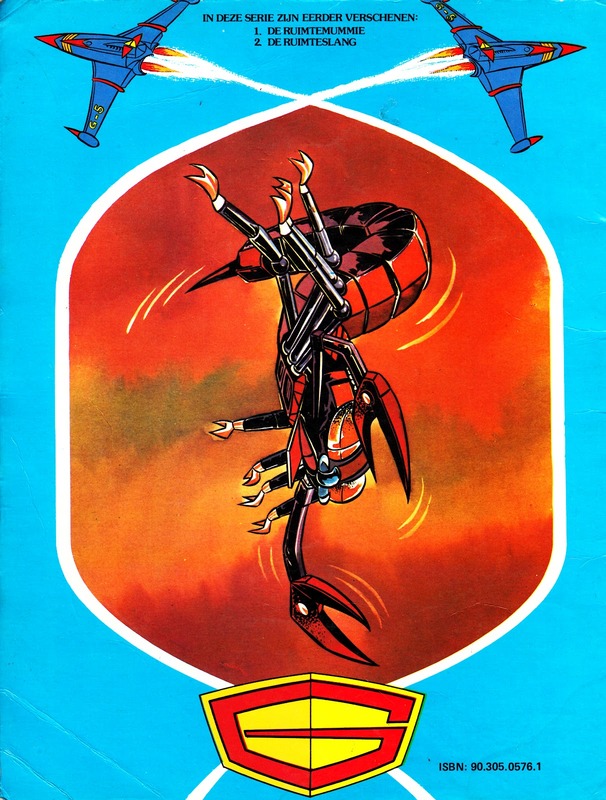 A bit of digging online reveals these were originally produced for the Spanish market (four albums and 17 comics, featuring different material to the albums, were published there). I'm 99% certain it never appeared in English, at least not in the UK or the US. Which is a bit of a shame as it looks really nice. 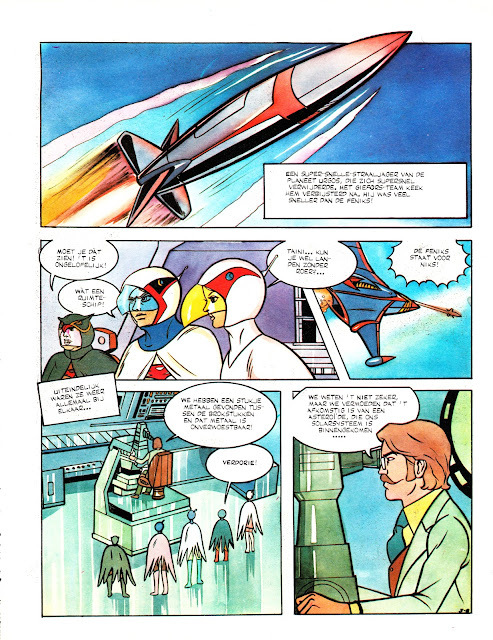 Of course, I have no idea what it says. There must have been at least three of these A4 full-colour albums, the titles of the other two are (I assume) on the back cover although I have no idea what they are. Any ideas? The publisher, Junior Press, also issued (at least) three US-sized colour compilations of Western's BOTP comics, running two US issues per album. By some quirk of fate (and from a completely different transaction) I also have a couple of these and I'll run them here in the near future.